Our clients have experienced the highest quality service and repair work on their vehicles. 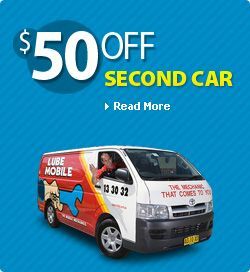 Find out what the all the fuss is about and choose from one of the 32 mobile mechanics in Lubemobile has in your area for you next service or repair work and have everything taken care of without having to go anywhere are at all. Join the satisfied customers who have already left us over 31 positive reviews in the Western Melbourne region tell us how great your mobile mechanic was. No the service was great. I want to give a shout out to Chris who was friendly prompt and explained everything clearly. He also fixed the problem quickly. Very happy with everything and would recommend. Holden, Toyota and Ford are among the top vehicles our mechanics have completed service work and repairs to on site in your area. Attending to all vehicle makes and models on site, jobs for local cars in your area have included Subaru, Toyota and Citroen. Our mechanics have sourced the highest quality parts, spares and consumables quickly and efficiently and arrive with parts like cooling system, air flow meter and manual gearbox ready to use. Just let us know what type of work we’re attending to and we’ll arrive equipped for the job, no workshop needed. Hi just trying to find out how much to get a belt replaced on my car? Does your local mechanic in Melton South do house calls? We do. We are Australia’s #1 fleet of completely mobile mechanics who are local to everywhere including in Avondale Heights, Deer Park and Hoppers Crossing. We service and repair your vehicle in whatever location that you specify. So you can have your car serviced wherever you happen to be like the office, your home address, or anywhere else that you are. 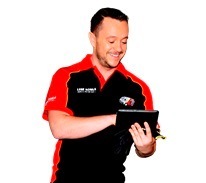 Our mechanics have serviced over 1,224 vehicles for owners at their chosen specified time throughout the last year. Our mechanics have commonly worked on Log book servicing in your local area and will arrive fully equipped to carry out a range of mechanical service work and repairs like fuel pump replacement and oxygen sensor testing. Our fleet even includes specialist tyre mechanics available for on site tyre replacement.